This isn’t exactly a tool, but more of a memory aid. In it you write things you want to remember. It can be anything from ceremonies, and how you do them to recipes, spells and other useful things. You decide what’s supposed to be in it. The form is up to you, in a regular notebook, or a beautiful black leather-bound book with a pretty lock on it. One thing you should consider, you’ll bring this book with you on many adventures and it’s a good idea if it’s durable and easy to read. Another variation is to have a DoS (Disk of Shadows), simply store everything on the computer and then print the pages you need there and then. Decorate it with beautiful things and thing associated with ceremonies. Traditionally, this knife had a black handle. It was a normal kitchen knife. The reason for this was that it could easily be hidden and diskussed without getting in trouble. Modern texts say it should be double-edged. Weather it should be sharp or dull is something the “wise ones” can’t agree on. It can have magical symbols carved on the handle and/or the blade. A more sophisticated athame is between 6 and 8 inches (15-20 cm) long. Even if many witches think that it’s ‘cool’ to have a sophisticated athame, you can use any knife you choose (butter knife, Swiss army knife, kitchen knife) for your rituals. What’s important is what feels right for you, as long as you understand the symbolism. The broom is, together with the hat, one of the most known tools of a witch. It’s also a very magically charged thing, and maybe that’s why many use it for ‘flying’. It’s said that this art is hard to master. The broom is also very good for other magic tasks, and it’s good for cleaning too. Two brooms on the wall provides protection, while a broom standing with its bristles downwards means bad luck. You should never bring the broom with you when you move, it’s much better to make a new one for the new home. Remember that when you sweep with a new broom for the first time you should sweep something in before you start sweeping dust out, if not they say you loose your happiness and good luck. The broom is used for flying, cleaning indoors, preventing illness, to dance with, cleaning around the ritual space and to give extra weight to your words. It’s made from hazel, rowan or a large hemp plant with the root still attached and it should be 3 times 13 inches. This knife is for cutting. It’s used to carve runes on candles, harvest herbs and so on. The Boline traditionally has a white handle and a curved blade. It’s used for everything where you might need a cauldron. It can be made from iron, copper or brass. Wrap it in cloth and hide it. Clean only in running water or in the sea. Let it dry in the sun. Can be made from self-sown elder (13-27″). Let it dry until a Thursday night with waxing moon when you make a hole in the center of it. Fill it with whatever you want to strengthen it with. Close the hole with warm beeswax. 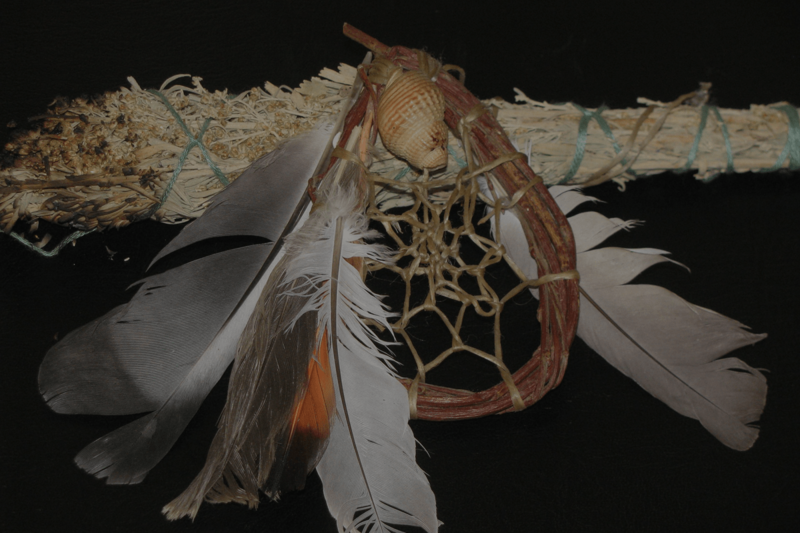 Is used for protection, rituals, and witches feasts and so on. The hat symbolizes the witch herself and the knowledge the person has. You can also say that the pointy hat stands for the contact with the stellar self. A witch’s hats is usually shaped as a cone and about half a meter (1.64 ft) high and wide, in other words, look just like in the fairytales. But it’s the imagination that decides fabric and look. It up to each and every one how high they want to make their hat. It’s more practical with a smaller one, but not as magnificent. Each crystal and stone has a unique power. This energy can be used for different purposes, both healing and magic. You can f.ex. let a clear quartz crystal strengthen your concentration, or use an amethyst for protection when traveling. There are many uses for herbs when you’re a witch. Take a look at the Herbs section. Incense exists in many forms. You can pick fragrant herbs and burn them right away, or you can dry them for later use. There are also different varieties you can buy. The whole thing is about burning something for the smell. The smoke should be protective and increase the medial capacity. Fragrance oils, essential oils, and mixed oils are offered, mixed and sprinkled. Use them to prepare letters, applications and when you do your taxs. Use in moderation for massage, baths, and spells. You can use Pine resin to wake the circle (put it in the fire). DON’T DO THIS INDOORS!! Two good helpers. They protect against vermin in the kitchen and symbolize the female and male view. (Guess which symbolizes what). Together they are a strong and well-balanced unity. They’re not only symbols, they should of course also be used. You can use the same mortar for culinary and magical things. Just remember what was in it last, some magical herbs aren’t edible! The bowl is used on the altar and symbolizes you. Fill the bowl with things you like. The glass is used for liquids. This is a special deck of cards which you use for divination. The regular cards come from these, and it shows if you compare them. 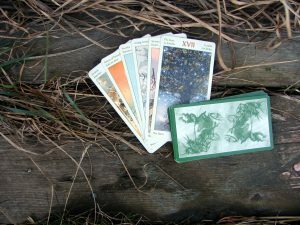 The tarot deck consists of the minor and the major arcana. The minor arcana is like our regular cards but they have other names; hearts are cups, spades are swords, diamonds are wands and clubs are coins or pentacles. The colors range from ace to king but also has a princess (page) to balance the jack (prince/knight). The major arcana consists of 22 cards numbered from 0, which is the fool, to 21 (the world/universe). You can also call these cards trump. These cards are laid in different patterns and depending on how the different cards are placed you can say something about f.ex. the future. There are many different kinds, there’s also those who’ve made their own tarot deck from postcards. Use for meditation, magic and circles. Wax is the best. Choose color after season and wish, use white if you’re unsure. Candles have been used to get a more natural lighting in ritual work, as focus object and to help concentration for centuries. Each color has a special meaning for both internal and external things. Rowan, Buckthorn, Mesquite, Poplar, Oak, Juniper, Pine, Cedar, Apple-tree If these are unavailable, use the ones that grow in the wild where you live. Rituals on the beach can be lit by bonfires made from dry drift-wood which has been collected before the ritual. This is mixed with water and used in the circle. Can cleanse a room. In the bath it can be used with roses or some other fragrant oil as smelling salt. Your voice, flutes, bells, drum, shouts, screams, fireworks. Made from natural materials, are used for storage. Make several 7 inch long sticks of beech, rowan, elder, or ash. Markings and length as needed. Is thrown as an oracle. Take a 3-inch long peeled branch from a flying tree which grows in an oak. The branch mustn’t touch the ground. Carry it around your neck or in your mouth. Gives invisibility and protection. Intellect, protection. Use a special knife for harvesting. This is used to dig up roots.